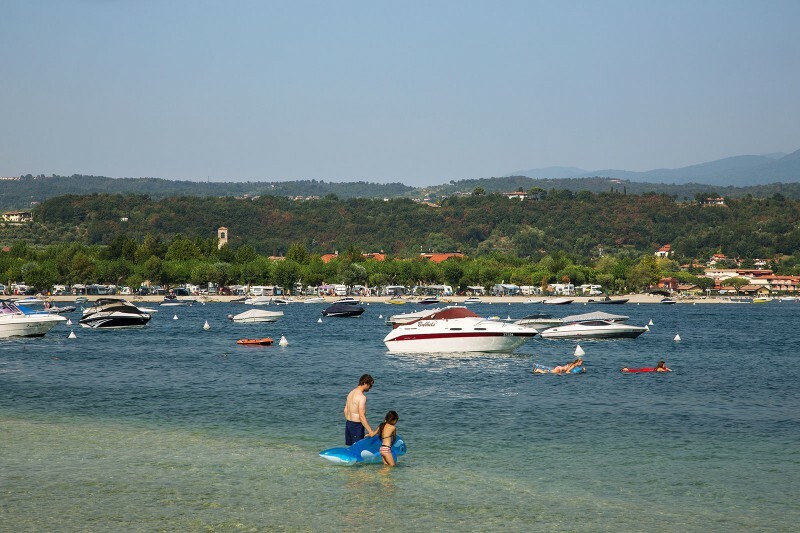 There are two beaches on the lake, more than 300 meters of beach just for you. Two diverse environments. On the one side is the more natural beach where everything is nature. The wonderful views of the fortress of the Rocca di Manerba Park and the lush vegetation that covers it. A strip of sand and stones torn from plants that protect the inner part of the beach and make it the destination for just a few “chosen ones”. The depth of the water increases slowly enabling you to experience the lake in comfort. On the other side you can enjoy a more “touristic beach”. Sand and gravel are the basis of the beach overlooking the Gulf of Manerba del Garda characterized by its many attractions for tourists including canoe rental with which you can visit the Rocca di Manerba area or venture out further to Borghese Island (or Isola del Garda). The uniqueness of the campground’s location enables you to experience the lake without using your car.